Stella has had a hopeless crush on Will, her older brother’s best friend FOREVER, but now that Cam and Will have graduated and are going off to college, this year is her chance to really strike out on her own. Without her overprotective brother and his sidekick around to distract her, she can focus on having all the typical high school experiences that she’s always dreamed of—starting with finding a boyfriend! 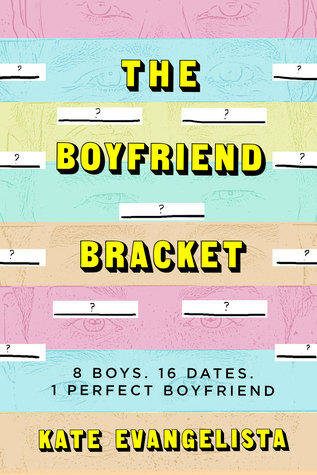 With the help of her best friend Franklin, she comes up with the perfect plan to have a boyfriend by Christmas: The Boyfriend Bracket. Or it seems like the perfect plan…right up until Will starts showing up again. How is she supposed to find the perfect boyfriend when none of her dates measure up to the one boy she can never have?